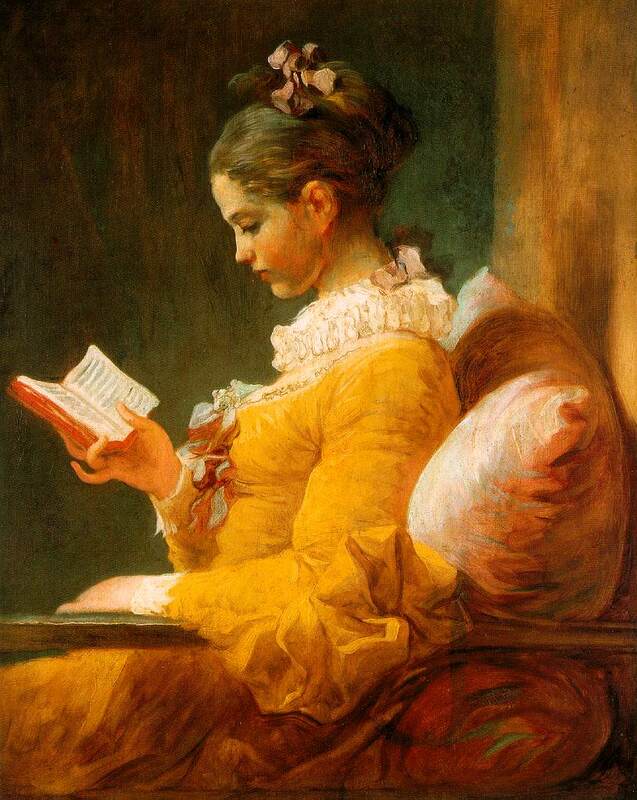 Fragonard, Jean-HonorИ (1732-1806). 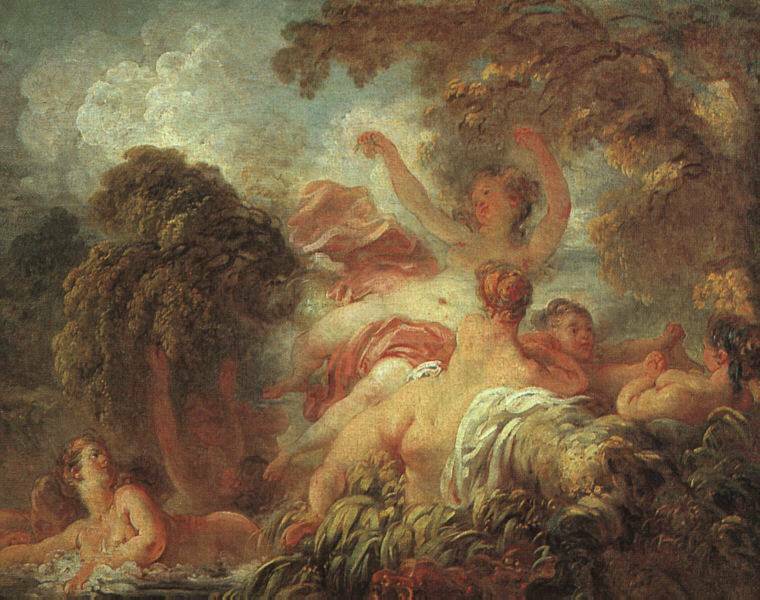 French painter whose scenes of frivolity and gallantry are among the most complete embodiments of the Rococo spirit. 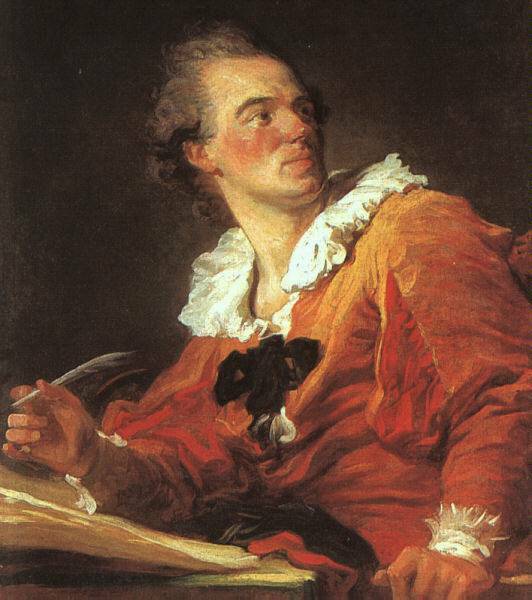 He was a pupil of Chardin for a short while and also of Boucher, before winning the Prix de Rome in 1752. 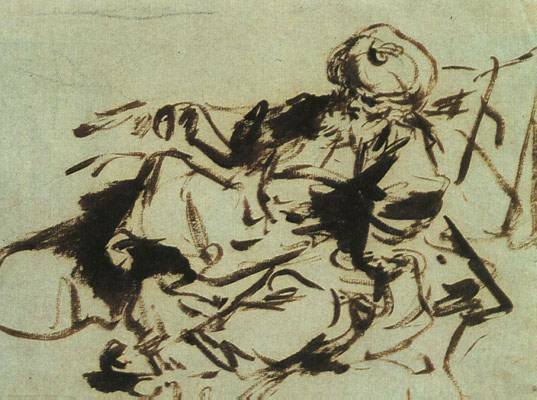 From 1756 to 1761 he was in Italy, where he eschewed the work of the approved masters of the High Renaissance, but formed a particular admiration for Tiepolo.